UPDATE: I Have Released Updated The Version Of this widget you can get it from here. 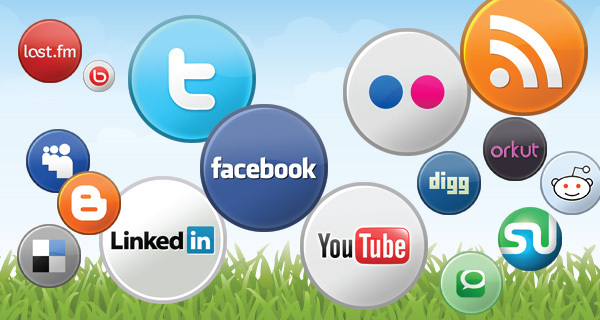 Why do we need these social media Facebook, Twitter, Google +1, Digg, StumbleUpon buttons? Social media is a great way to drive more traffic to your sites. Get these buttons means that you will have a better chance to make your site become popular. In this tutorial I will show you the way to add social media buttons on your blog. Since Wordpress the most preferred CMS to create a blog. So, We'll start with how to add social share buttons on your wp blog. In wordpress we have tones of plugin to add social sharing buttons, but not everything is good. The plugin which I recommend using for this purpose is called SumoMe, it’s a whole suite of tools and it's free. Just install the "Share” app and follow the instruction to add social buttons. 5. Save your widget, refresh your blog. Now you can see the widget. amazing blog and useful information is here.. simply super..keep it up. thanks man.really nice artical keep it up!! this script in a add or remove the digg & other sharing site. This is a big help! Thank you for sharing it! I added it to my blog...feel free to check it out: www.TheTeacherGarden.blogspot.com. Hi, great widget, I've just got one question. Is it possible to modify the Tweet button so it includes my username in the tweet it creates? Hey man thanks for the widget. I hope I can direct traffic back to you so others can uses your widget as well. Thanks and God bless. Google +1 now is really helpful on SEO in finland too many SEO guy are putting it to there site.Thanks for posting it in here. How i I remove this from the home page, i wnat it on ly on the internal pages? but I'm wondering, can i make it float only on a certain distance, for example from the top to the bottom of the post on blogger and not further ? You can check out this post to hide this widget from home page. ;-) Excellent - Keep up the Good Work! Best wishes From Cornwall, United Kingdom. Can you add pinterest to the code please? how to edit this? to become my own links for twitter and FB? How to add facebook like button in this.. can u help me out.. This is my one of favorite widget. I love this as it help me to enhance the beauty of my blog. As well as it help me to have more feedback with the help of social networks. Thank you so much! I have been searching for a widget like this for so long and this is the first that worked the way I wanted it to! I am a new blogger and I want to ask you that how you add html codes in your posts? Thanks for this helpful post, i was realy looking for this awesome widget. thans for this awesome post, i was really lokking for this amazing widget.